Dr. Titus Kennedy is an archaeologist working primarily with sites and materials related to the Bible, predominantly from the Bronze Age through the Roman period. 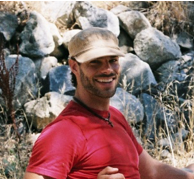 His fieldwork includes archaeological excavations and surveys at numerous sites in the Middle East and the Americas, and artifact research at museums all over the world. He received his doctorate in Biblical Archaeology from the University of South Africa, two MA degrees in Near Eastern Archaeology and Biblical Archaeology from the University of Toronto and the University of South Africa, and a BA from Biola University. His archaeological interests include Biblical Archaeology, the interplay between ancient documents and the archaeological record, and the similarities between civilizations of antiquity. He teaches courses on archaeology and the ancient world as an adjunct professor, works as a researcher and consultant on media and curriculum projects, and has published numerous articles dealing with archaeology and the Bible. Temple at Khirbet et-Tell/Ai” January 2016 (in absentia). Bronze Age Material in the Area of Khirbet et-Tell?” November 2015. Problems in the Conquest of Canaan.” September 2015. Discovered 9th century BC Israelite Cultic Building at Del Dothan.” November 2014. Analysis of Late Bronze Age Canaan.” November 2014.